This was really easy to make – I did it! (Trevor cut the trim, but that was it.) I was sent some Bondera – tiling adhesive and it was perfect for this project. 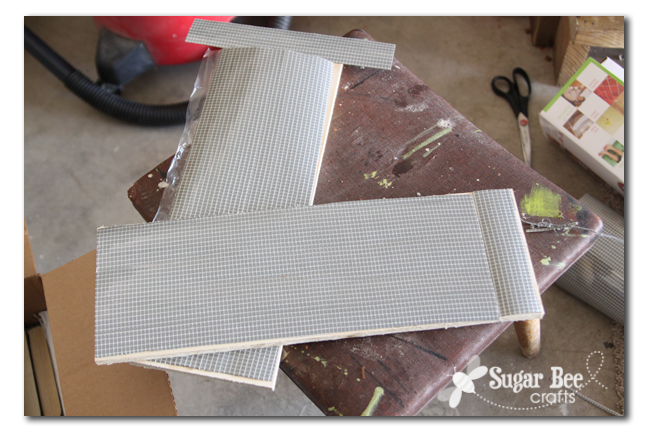 Basically it is a roll of stickiness that will adhere tile to surfaces. 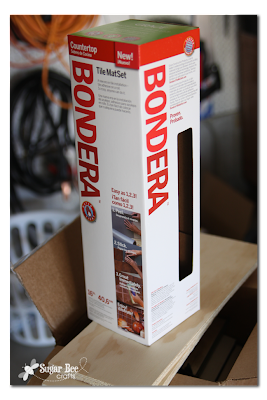 So instead of messy mastik (the hard stuff you slather on under tiles – weird that I know what it’s called) you just unroll the Bondera and cut it to fit. So easy that I tackled the project myself. 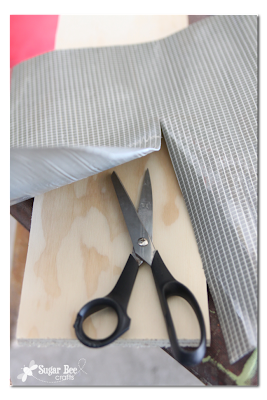 I grabbed a couple of scrap boards from the garage and cut the adhesive to fit. Then peel the backing off and stick it down. 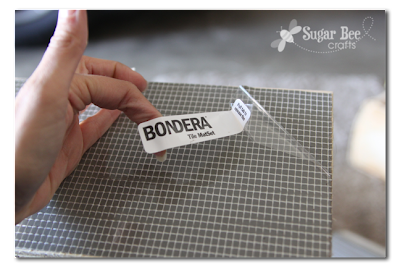 Then peel the top clear protective off – it’s a little tricky to grab, but they provide handy stickers to grab the corners – worked perfectly! 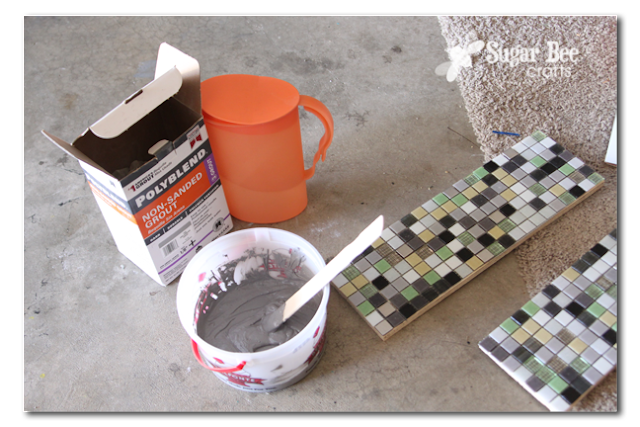 Then just lay down your tiles and press them into place. It doesn’t get easier than that. We had tiles leftover from our Kitchen Remodel, so these trivets will obviously coordinate with my kitchen quite nicely. 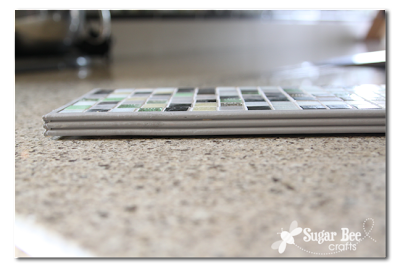 And after it sets a little while (maybe 30 minutes) wipe the tiles with a sponge. You might need to do that a couple of times. 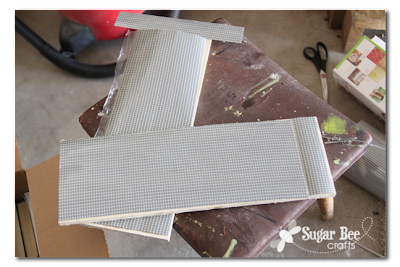 Then I had Trevor cut me some trim pieces. 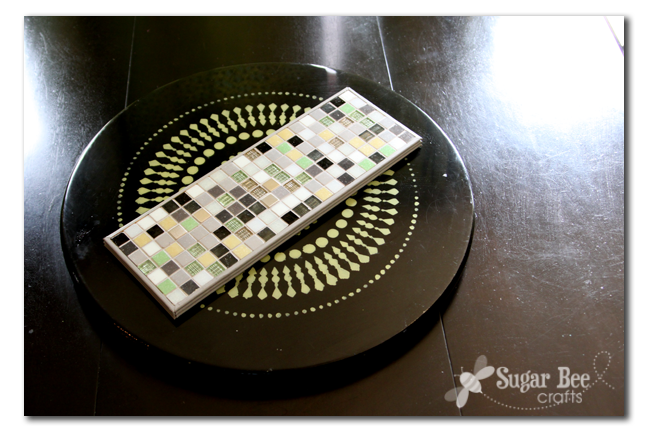 I painted them and then used wood glue to just glue them to the sides of my trivet. 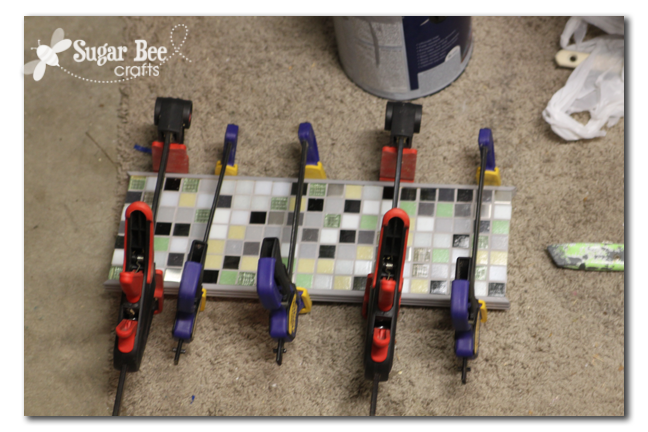 Clamps to hold the trim in place while the glue dried – overkill?? So – have you ever attempted tiling?? 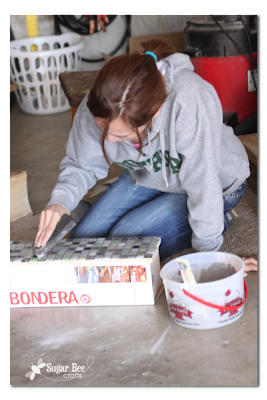 Either way, you should give Bondera a try – it was super easy to use and made tiling a project that even I could tackle! You can do it! I love this project! I need to check out that product, too. 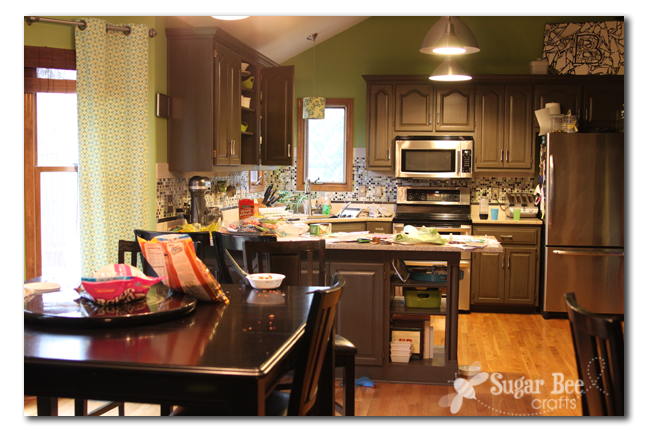 And yes, typically the hardest part of the project for me is cleaning so I can take pictures! That was the best part of the post…I so relate! I never knew that product existed- sounds good enough to me! 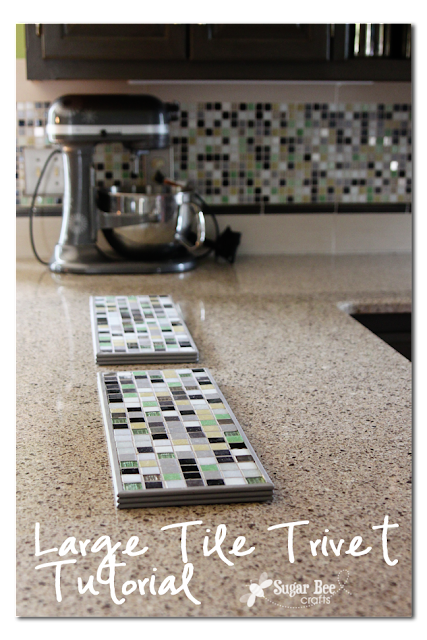 I am not afraid of tiling, it’s something I’d love to try in a spot behind our oven where the landlord cleverly put NO tiles. Makes sense. Anyway, with this Bondera stuff it sounds like a total walk in the park and a job I can do in an hour or so… nice one, I gotta go find me some! I love this idea! 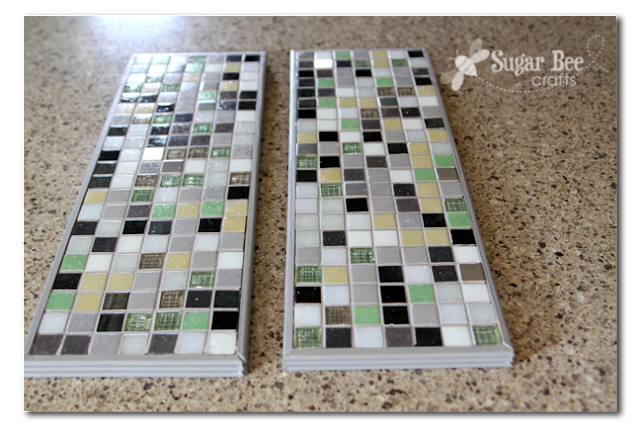 We just went through a kitchen remodel and have waaay too much extra glass tile (that I love!) 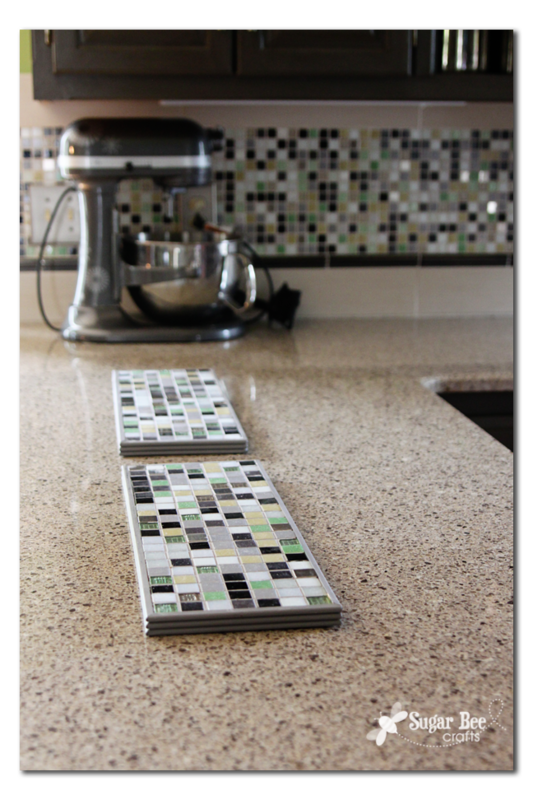 This would be a great project for our home– but also for gifts. 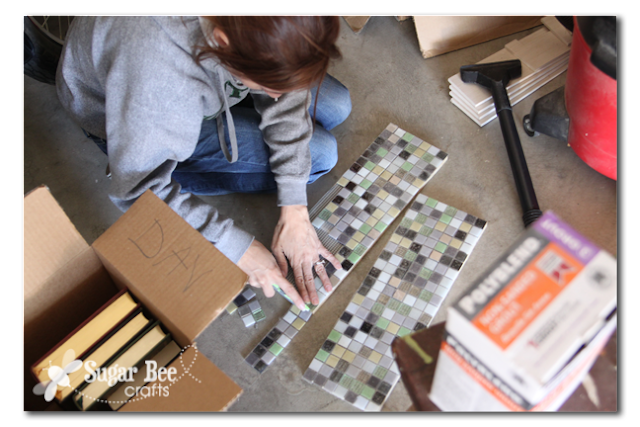 Thanks for sharing that product – I have some scrap tile that I’ve been meaning to use so this was very helpful. This is just pure awesomeness! Just found your blog on Little Miss Momma! Love your blog. New follower! Follow me back via GFC? Those are great! 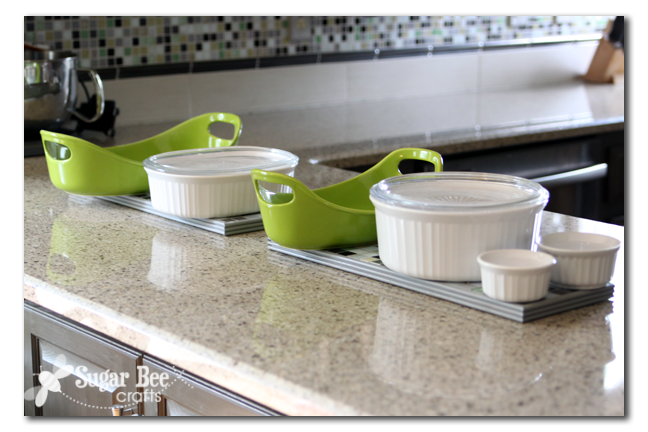 Also love those green casserole dishes! 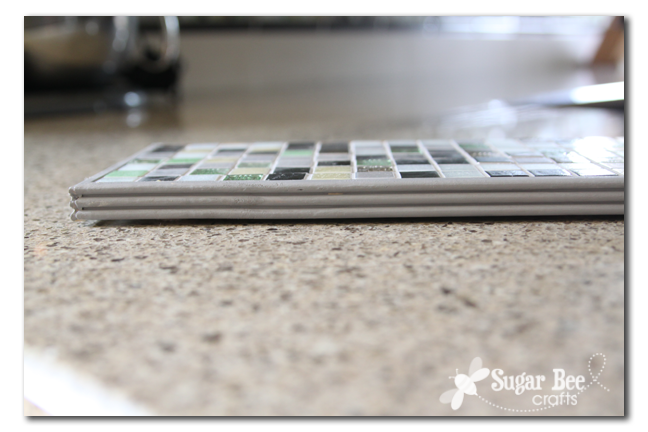 This is a great idea for those of use unfortunate enough to not have gorgeous countertops! Are those Quartz? If so, I know you said you know you can put hot stuff on them and it makes you nervous but let me tell you, you can do pretty much anything to quartz and they will be fine! I’ve seen some demonstrations (I’m an interior designer and the reps for these companies give courses on their products) and how they are made there is NO air pockets in the material (like granite has because it’s an organic product), those air pockets are what damages natural counter tops. The heat gets into those air pockets and it expands and can cause cracking. 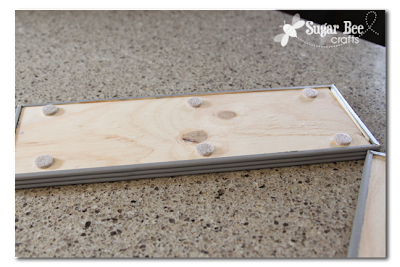 Also if you ever scratch quartz or it just starts to look dull from wear and tear after several years, it can be sanded and polished to look brand new. Can you tell I love love love quartz? I will definitely be on the look out for that sticky back for the tile! Fabulous gift idea…and you made it look so easy too! Thanks…PS, Fab Kitchen! This is so adorable and creative. 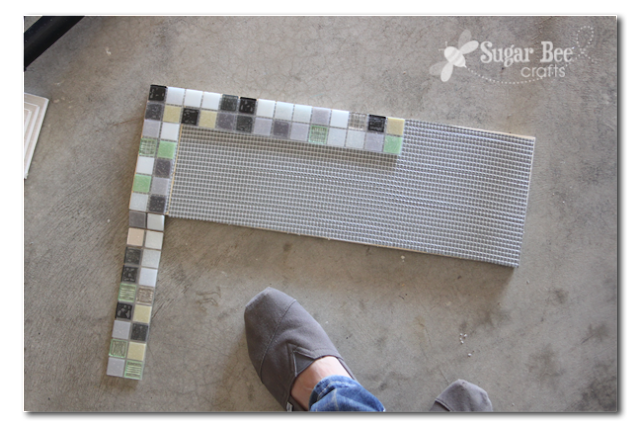 I love the choice of mosaic tile you used. It doesn’t really seem like too hard of a DIY either. Thanks for sharing! This is such a cool idea. I’m not as creative as you but I reckon i could do something like this.